Have you had an incoming call and seen all your Apple devices light up and had your iPad start ringing with your iPhone? Here’s how to fix it! This scenario has happened to many Apple users who have multiple devices, where they are picking up their iPhones to answer calls but hear ringing in other parts of their home or office where their other Apple devices are also ringing! Quite a commotion really! This is one of those add-on features that Apple offers that you might just not need to use constantly. The solution is simpler than you think and offers immediate relief from a home full of ringing devices! Open Your System Preferences (gear icon) on the mobile device you wish to turn off. In this case, it is an iPad but the same scenario applies to other Apple mobile devices. Scroll down to FaceTime and tap on it to open. Click on Calls from iPhone. The default mode will say On in gray below the button. Once that is open, just turn it off, sliding the button to Off mode. Your iPad will stop ringing right away when you have an incoming iPhone call. If you ever want to use it to answer calls, you can just go back to this setting and turn it off. 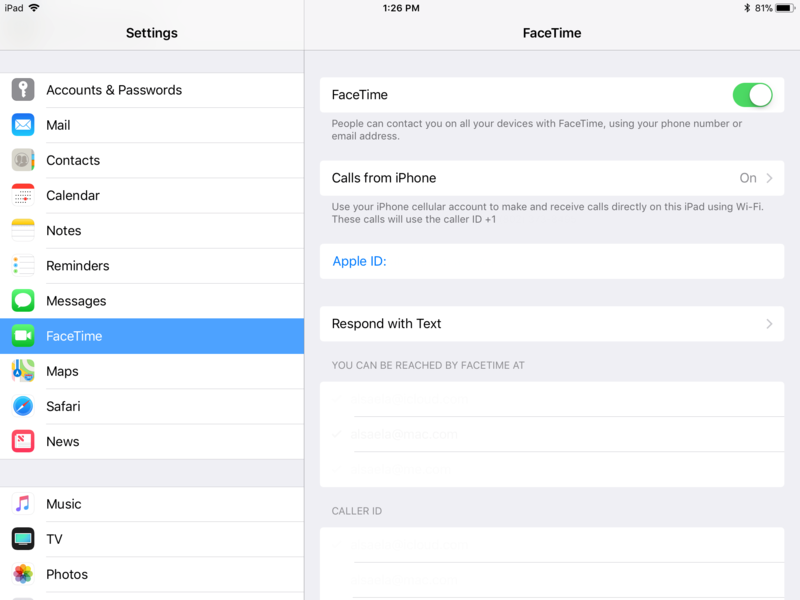 The feature is convenient for making Wi-Fi calls when you are in proximity to your iPhone and would like to use the larger frame of the iPad for FaceTime. Be sure to turn off the setting on any other Apple mobile devices you have as well and you are good to go!